We've sent you an email confirmation at the email address you provided. If your inquiry is urgent, please use the telephone number listed on the website to talk to one of our team members. However, we will reply by email as soon as possible. We've sent you an email confirmation at the email address you provided. If your inquiry is urgent, please use the telephone number listed on the website to talk to one of our team members. However, we will reply by email as soon as possible. Thank you for your interest to download the course syllabus! We've sent you an email confirmation with the "syllabus download link" at the email address you provided. Please check your email, and download the syllabus. If you have any questions, please use the telephone number listed on the website, to talk to one of our team members. Do You Know Why QA Training is Necessary to Grow Your Career? Quality assurance is no longer the last thing you do before the software launches; it weaves through the entire software life cycle, with business goals attached. It can be very well anticipated that the jobs, career opportunities and the requirements in QA testing field are on an ever-increasing path. 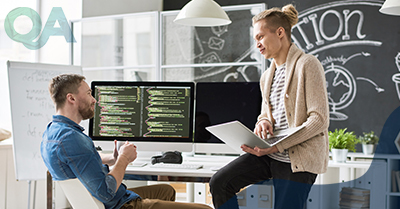 It can be well assumed that today while the software development field is rapidly evolving, as more and more enterprises are adopting agile development methodologies, the need for QA professionals is set to rise. On top of that one famous survey has shown how QA professionals are just about the happiest workers of all trades! So, aren't you amazed already? If you are, then join our QA Software Testing Training program right away and learn and add the necessary skills to your resume with the help of online QA Training that will take your career to the whole new level of heights that it has never seen before. How will it impact your career ? "We are committed to making your dream job in QA Testing field a quick reality by our simplified learning solutions"
"Become an actual QA expert by Learning QA Techniques"
Learn various testing techniques & tools of QA such as Compatibility Testing, Performance Testing, Functional Testing, Selenium, GitHub, Appium, Cucumber with live examples & projects. "Transform to a QA Professional By QA Expert's"
Live sessions hone your skills at a whole new level and not only make you certification ready but also industry ready. The idea is to give more and more practical exposure. "Learn Selenium for Automation and easy executions""
The session on Selenium will provide you full hands-on training on how you can automate various web-based applications and execute various apparatuses such as Data driven, Hybrid, Page Object model etc. "Challenge to get better with each session"
Exercises such as Test case design exercise, identifying use paths in a given database, preparing bug reports, are regularly given and checked to help you get hold of practical aspects better. "Get a myriad of learning resources to become an expert"
We provide countless types of learning resources such as recording of your session, links to various blogs and Whitepapers and a list of books to read for better understanding. 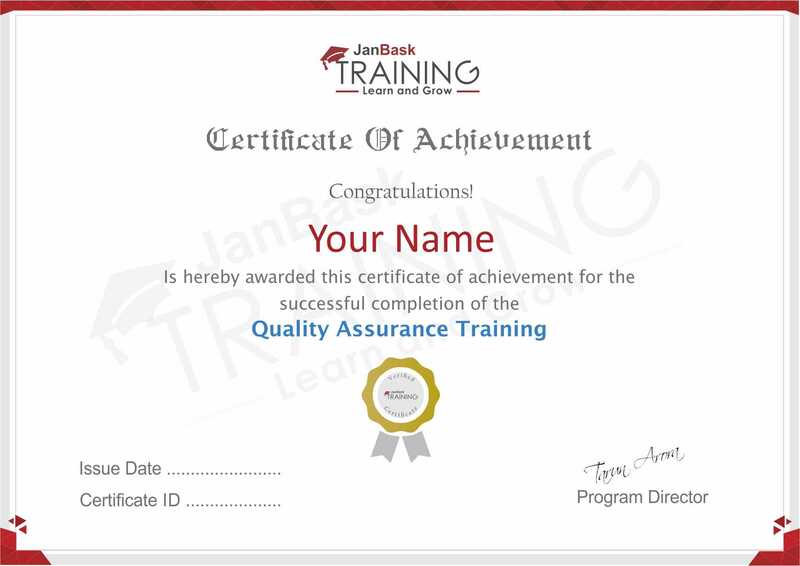 "Become an accredited QA Expert & Get QA Certification online"
JanBask Training gives you QA testing certification training & software testing training in consonance with the project model and curriculum layout carefully engineered by our core team of subject experts. Our Professional Trainers have designed the QA training course to provide you with the guidance for QA testing certifications as per the standards of ISTQB which is a recognised certification all across the globe. You will get not only software QA testing training, but also the project management processes including SDLC, STLC, Agile, and Waterfall models. 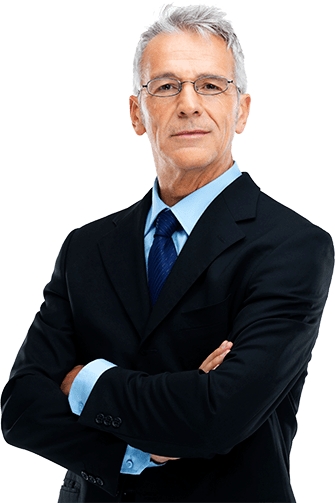 Once you are associated with us, it is forever as we are always there to help you prepare for your interviews, job change interviews, certifications anything. When you are done with your QA training and QA testing certification training, you will get a hand at various concepts of QA testing such as quality assurance, quality control, regression testing, ERP testing, Selenium framework etc. You will be able to master the different testing options such as Unit Testing, Integration Testing, Functional Testing, System Testing, Stress Testing, Performance Testing, Usability Testing, Acceptance Testing etc. You will also be able to deploy and run various types of test cases, run debugging programs, troubleshoot quality control lacks etc. You will be able to concentrate on the quality of product/service that you would be providing to your customers during or after the implementation of software. 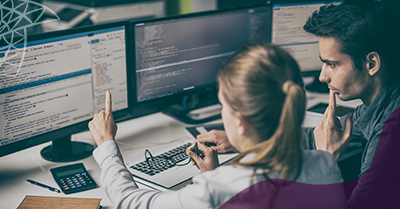 Also, you will learn how to implement automation, debug software errors, validate data, and automating optimization with the help of our software QA training. You will be able to deliver services that each and every industry is currently hunting for. QA Live Session makes you learn from the introduction and also upgrade your Testing skills. The beginner’s course goes at a slower pace as it will first clear up your concepts related to Software Testing, its tools, techniques then you would move up the ladder towards testing tools. You will get an idea of the working of various testing tools such as QTP, Selenium, Appium etc up to their basic or trial version. With our QA training course module, you get a fair idea of Theoretical as well as the Practical components. This approach helps you to learn QA from the very scratch & build up an outstanding concept of the platform. It will help you understand about things like SQA planning, execution and Reporting. Right after you clear your QA beginner’s course you will be promoted to advance learning stage. Revising and clearing doubts related to QA basic concepts. Practical expertise starts with the Testing Fundamentals and moves ahead with Manual Testing followed by Automation section including rigorous training in Selenium, QTP etc to experienced levels and not just limited to the basic trial versions. You will get a fair idea about Quality Metrics and Measurements. Now, with QA Live Sessions, Recordings, Study Materials, ppts etc. are also handed to the students to learn and revise. You also get step by step guidance on also take up case studies and caselets. Applying & achieving various Certifications related to QA becomes so easy after this training, as it is an important aspect to consider a resource in any IT Company. Who should enroll in this course? The online QA testing course and the online QA testing training are perfect for every individual who is interested in mastering the testing skills, however here is a list of a few individuals who will surely be benefited with this course. There are many online QA certifications that are available in the industry to make sure that companies follow the required Standards Quality Processes. Customers, as well as employers, make this as a primary qualifying criterion when they are selecting a software vendor. Once you have completed the QA training course your final project will be graded by the expert panel that we have in place, they then guide you through the further process of online QA certification. You will be certified as a QA tester or a QA testing engineer based on the online QA certification course you plan on choosing. QA testing certifications such as ISTQB, ISO 9000, CMMI level are well renowned and you can take any of these. Mini Projects covering Test Cases, and their executions. The trainer was excellent; he made the online class very interactive by keeping me involved every minute. The instructor was one of the best instructors I have ever seen. He knows what he is talking about, and was explaining the concept with real-time examples and current scenario. I am a manual tester and opted QA training to enhance my knowledge. I took the wise decision of choosing this online course which is very convenient to join from home or sometimes driving. Every class was full of new information with live examples which was very helpful to understand the lesson properly. Such a splendid training for QA, they cover manual testing, automation testing, QTP and Selenium. It is very easy even for a new comer without a IT knowledge like me. I completed the course in the promised time frame. Kudos for the good work! Good training and they were available when you need them. This helped me to learn QA in and out. But it can be even more better, rest the training was good and satisfactory. I am thankful to the JanBask team for introducing me to QA testing. I have become an Automation tester in a short span of time with their best training. I am happy and content with the QA training provided by you. It was under my budget and with a complete package. They are the hidden gem in online QA training. I was very new to understand the technical terms in the beginning, but the instructor was very patient to explain every concept until I was confident. They also gave many assignments to check our performance and class interaction. Now I can say I am a pro in QA testing. The course was really well designed and appropriate for my level of understanding. The trainer was knowledgeable and patient to help students learn the testing process in different domains. But they should add more assignments of the level of professionals and can have more GDs on the topics. All good. The training was perfectly designed to motivate new students to learn QA testing with easy examples which you can relate with. Good decision to join the training. Good course, thank you. The trainer was experienced and knowledgeable tester himself. Every topic was explained elaborately by him but it would be better if he asks some questions in between to have an interactive session. I am very happy with QA testing course which I took one month back. The instructor was very impressive in teaching with real-time examples. The best training for fresh graduates like me who find it very difficult to join IT. QA testing is the career option which was suggested by the team, I am hundred percent satisfied with the course. The course trainer was one of the best trainers I have experienced. He was highly informative and explained each topic in a very easy way so that a non-technical person can also become a tester. Thank You for making me understand the crucial QA testing. One of the best investment I have ever made in learning a course like QA testing. I am very thankful for the consultation to choose the technology which is job secured and has future growth. The training was a hit in my study life. Thank you for this fabulous testing course and the instructor. It was really very interactive and effective QA testing course. Selenium and QTP both topics were beautifully explained with real-time examples. Basic manual testing was very informative and the class was highly interactive for an online course. What about the course location? 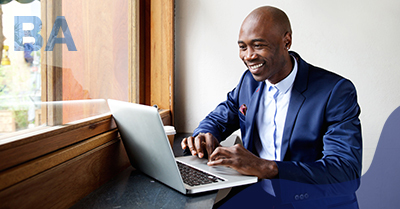 Our courses are live and online which means it can be attended to from any place. However, we do have most of our QA attendees from the following cities - New York, San Francisco, Canada, Chicago, Washington D.C, Los Angeles, Hyderabad, Bangaluru, Chennai, Mumbai, Delhi and many more. What is a Demo Class, are there any charges associated with it? We make available all of our demo sessions for free to all genuine learners. After enrollment, you may elect to go for an absolutely free demo class. After you have taken the Demo class if you feel that our program is not as per your expectations you may choose to opt out and ask us for a refund of any charges paid. Do I get live training? If yes, how is it beneficial for my QA Course? Manual testing is relatively very easy to learn; that also means, there will be so many people learning mostly manual testing owing to its ease. This implies that there is going to be a high competition in the manual testing job market because so many of us would prefer to only learn this easy QA area. One always begins with learning QA training with Manual Testing concepts and thus building a foundation to make further advances. That highlights the importance of Automation Testing. In order to get good and highly paid jobs in a timely manner, and survive in the IT job market once needs to be proficient in Automation testing. In Automation testing you will be writing small- small scripts initially to automate your test cases. Some cases might also need large scripts. These are easy to learn if you are determined and decided to grow your career as a QA Tester. Don’t be afraid about learning technical things and be prepared to become a Technology Person as you are about to start IT career. Therefore it’s always good to have a technical background, but it’s not mandatory. You just need to determine to study hard and learn complete manual as well as automation testing. Is the training interactive, how will it help me to learn? As all our programs are Instructor led sessions, and they are delivered in live environment. Rest assured for getting ample of opportunities to interact with not only the Instructor, but also with the other students who are participating in the class. We also have a couple of group sessions dedicated to this kind of trainer-learner interaction. 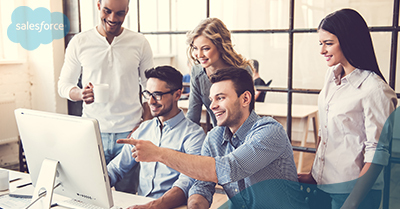 During your QA training, you will not only learn all different concepts, but also do hands on with instructor to write live business requirements, documentations, use cases, and perform real time study on various applications. Which Software Testing Role is better for me– Manual, Automation or Both? Every application or software needs to be thoroughly tested before it can be published live for end users use. There could be large or small applications in companies which are being built on time to time basis by software Developers. Those application needs to go through regression testing every time there are any development changes made. Initially, some of the companies used to only perform manual testing, and some have been using automation testing process based on their complex business needs. Nowadays; most of the companies are willing to automate their Test Cases so that they don’t have to spend so much of time and money to perform end to end testing using manual testing approaches. 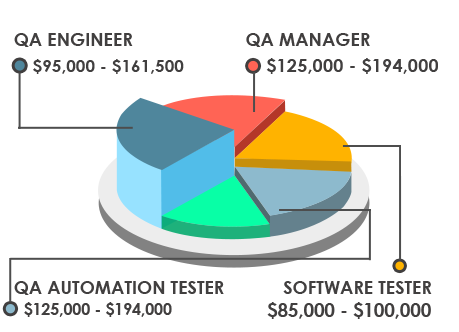 Thus in order to have a successful career in Software QA Testing domain, we would suggest that you should be learning to test comprehensively, i.e., inclusive of both manual and automation tools. 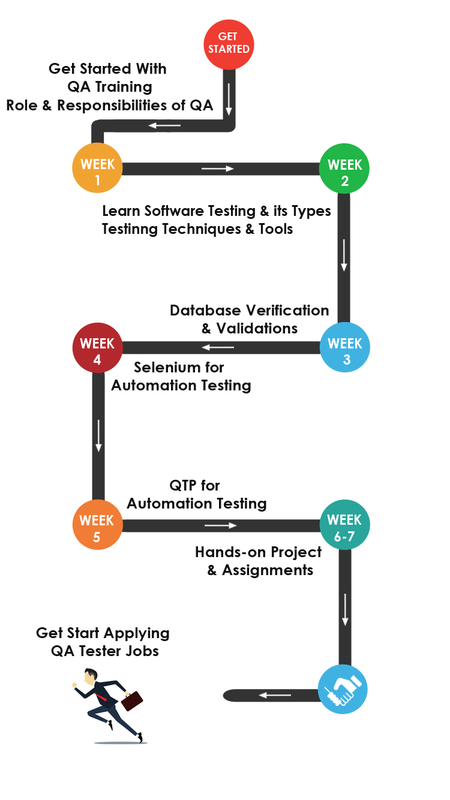 You don’t have to be afraid of Automation tools complexity; once you start learning and completing the chapters one by one in Selenium or QTP; slowly you will be able to build your confidence and continue gaining expertise. This will optimize the odds of securing your dream job with the best companies and guaranteeing you a fruitful long-term career growth as a QA Consultant. Who will be the Instructor? All our trainers are extremely experienced Sr. Quality Assurance Leads or Consultants from various IT domains. They all are working professionals associated with the most reputed IT firms of the world. They undergo JanBask Training’s strict selection procedure comprising many rounds before on boarding, unlike many other trainers, these professionals are then tested for their enthusiasm for distributing good understanding of concepts, in addition to their technical qualifications. Every instructor is then made to sit through a 20 hours fixed induction program that helps them get accustomed to JanBask Training’s innovative teaching methods. Thus we ensure that every trainer we have on board gives the best possible training in the best possible manner. © 2018 JanBask Training. All rights Reserved.